The latest Deloitte Placement Papers 2019 show us that the Quantitative Section for freshers is the most difficult. Deloitte Previous Papers pattern has remained constantly for many years. 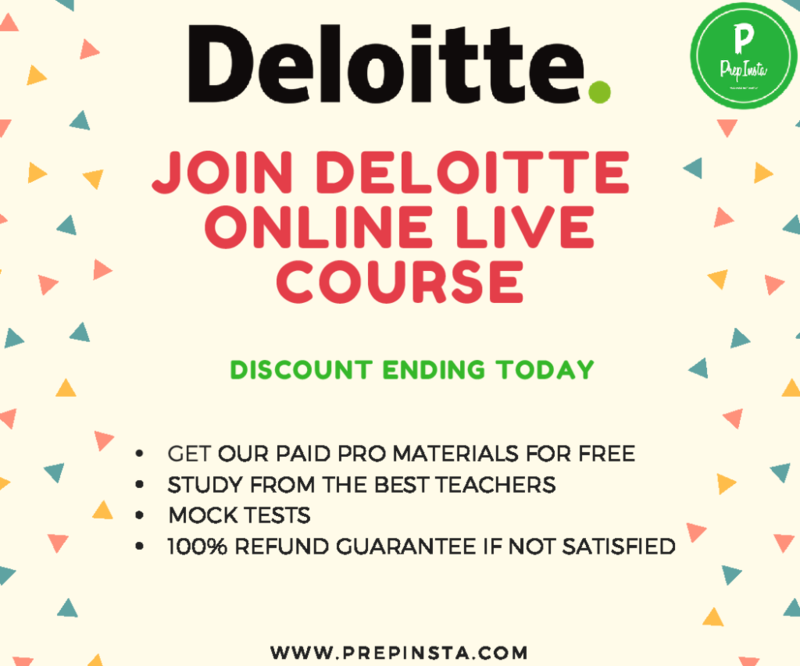 Prepinsta provides the best Deloitte Preparation Materials, Deloitte Previous year Question Paper Analysis, cut off, facts etc can be found out on this page. Deloitte Papers, Deloitte Questions, Deloitte Written Test Papers, Deloitte Online Test Papers, Deloitte Written Test Questions, Sample Papers for Deloitte, Deloitte online test questions, Deloitte Test Papers, Deloitte Test Questions, Deloitte Aptitude Test. You will find the latest Deloitte placement papers all questions with solutions are given here on this page. PrepInsta will provide the most of questions in previous year Deloitte placement papers. Deloitte Questions are of moderate difficulty but one doesn’t have much time to solve them. In Deloitte Placement Papers for Freshers below you will find best on the internet Deloitte questions thus you can increase your percentile drastically by preparing from here. Deloitte for Engineering Graduates will be a position for Data Scientists you can check Deloitte’s website for life at Deloitte. Note – If you have any question regarding the exam, comment at the end of the page we will reply within 10 mins. This test is conducted for people who clear the first round. This test analyses your English Listening, speaking and conversing skills. As observed from Deloitte Previous Papers the maximum score for each section while giving Deloitte test is 820 out of 800. Yes you read correct this is new US type of scoring for better evaluation in Deloitte Written Test in Deloitte Online Test Questions. For Deloitte Online Test Papers Strategy for Score vs Correct for Questions in Deloitte Placement Papers for Freshers. For Deloitte Questions if you take lesser time than designated for a question in Deloitte Test Papers for e.g. if there are 16 question in quants and total time is 18 mins in Deloitte Aptitude Test. Thus, the total time for one question = 67 seconds. If for quants any question is solved 10 seconds before i.e 57 seconds you get +15 points. Similarly, if it is solved after 77 seconds – 5 points. General Cut of for somewhat relevant for Deloitte but not complete as in Deloitte Test there are 25 questions and 24 in logical. For Deloitte Online Test Questions we think rather than studying from Deloitte Sample Papers and even giving Deloitte Mock Test Papers preparing from actual previous year questions that were asked in Deloitte is the best way for the Preparation and our study material is also the best on the internet. Ques. In Deloitte Test Papers which section should I prepare more or focus more upon for Deloitte written round in Campus Placements? Ans. You should focus upon all sections equally though the logical section will be the most tough if you haven’t prepare from Deloitte study material given on PrepInsta. Ques. Is time management important when one is giving Deloitte Placement Papers 2019 which is online test based solution? Ans. Yes, time management is very important as for every question you have just one minute. If you’re taking too much time for one Question in Deloitte then you must go ahead to the next question in the test and not waste much time here. Plus there is sectional cut off in the paper and you don’t want to score very high marks in one section and very low in the other in Deloitte Previous Papers and Deloitte Written Test Papers. Ques. Deloitte Written Test Questions, what is the difficulty? Ans. For deloitte written test questions the level of difficulty is medium but the time is the main concern as people are not able to solve the sections in the given time for Deloitte Aptitude Test. Ques. Where can I find Sample Papers for Deloitte? Ans. There is no need to study from Sample Papers for Deloitte. You can directly study from our Deloitte Dashboard from our Deloitte specific practise questions and study materials. Deloitte visited our campus in around September 2017 and around 2100 students sat in the first round out of which around 500 were selected for the next round of Deloitte placement papers 2019. When we look at the detailed recruitment process for deloitte in our Campus there are 3-4 rounds. There were a total of three sections which are Advanced Aptitude, Verbal English and Logical Reasoning. The first section of the test is Verbal ability section which consists of 25 qustions and the time to solve this section is 25 mins. The topics for this section are basically the following – Referential Reading Comprehension, which are medium length packages and mostly will contain answers in the passage itself, then there is the basic grammar section which has topics like Sentence completion, vocabulary, Synonyms and Antonyms, Fill in the blanks etc. Group Discussion – Once you clear this round there is Group discussion round which actually isnt group discussion, its a group activity round where in your have to work together with other candidates and have to do a group activity, my group activity was to along with other candidates make a business plan on chart to open a jewellery shop in a said area. This round basically checks your communication and presentation skills. Deloitte mostly provides a case study based on a Technical problem faced by an organisation. c) Technical + HR Round – I was asked questions from Operating System concepts like what is deadlock and some concepts of DBMS and C, C++ like inheritance and data encapsulation etc. Both the technical and personal Interviews for me were held within a single interview scope. Some other students also had to write some basic codes in the round which were of arrays and strings. The HR asked me basic questions if you have good communication skill then you can clear this round definitely. Around 341 people were finally selected and I was also give some goodies. 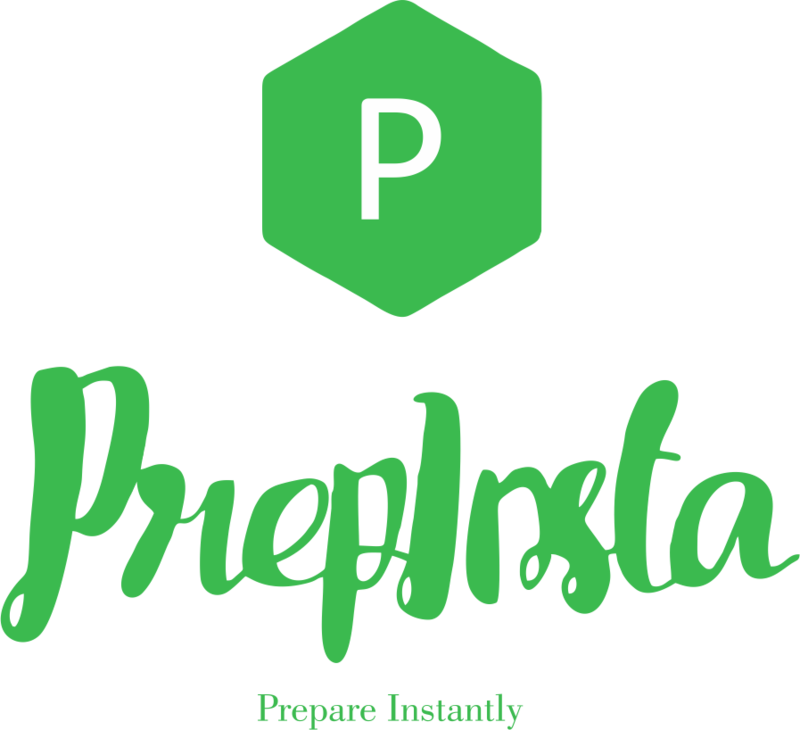 If you clear the first round mostly you’re selected thus I will recommend studying from PrepInsta as they have the best resource out there for Preparation for deloitte test papers and you will easily be able to nail the written round in Deloitte Test Questions. Only Sometimes Deloitte used Cocubes Test to conduct the first round of placements in such a case you can study from our Cocubes Dashboard here. For deloitte screening test cocubes and cocubes online test for deloitte.